I’m glad to see you tried out my recipe (and that I found your blog)! Thanks for checking out my blog. 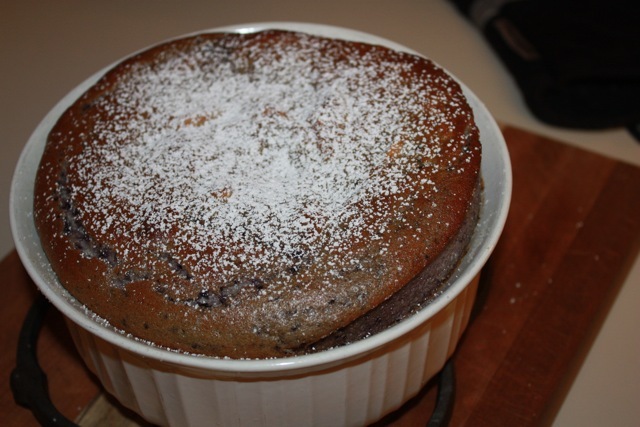 🙂 I’m sorry to hear that the time was off for your souffle…perhaps it was an oven difference? 🙁 I have noticed that when making large souffles, such as this one, the time is harder to gauge as opposed to baby ramekins. I appreciate the details in your trial!! Glad you found my blog! I noticed you recently celebrated your 1st year-congrats! Other than leave out the almond ingredients, I didn’t change too much. The souffle was still really good!